Dear s&w, the prophet, Bobby, is usually up to date with info. 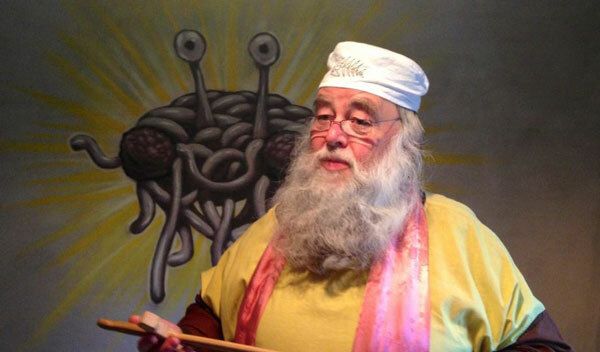 because he has a direct connection to the Flying Spaghetti Monster (FSM). The only time the prophet doesn’t have up to date info. is whenever the FSM is drunk, which is usually all the time. Dear Sauceror, my role models are the FSM and Homer Simpson. I#m sure there are donuts in heaven. You lost me, buddy. I mean, I suppose I get what youre saying. I understand what you are saying, but you just seem to have overlooked that you’ll find some other individuals within the world who look at this issue for what it really is and may perhaps not agree with you. You may perhaps be turning away a lot of men and women who might have been supporters of your website. Sorry— were you talking to me? Dear s&w 5906 magazine, please tell us what the issue really is and what we’re saying. Like the kitchen appliances in The Hitch Hiker’s Guide to the Galaxy, I’d like to start a conversation. That’s a completely valid crtisciim!And, at least in a physical sense, it isn’t that different than a tree falling in the woods. If trees and woods follow all the relevant physical laws to the letter, regardless of who’s looking or not looking, then a falling tree will definitely make a sound ( sound here defined as the vibration of the air, as opposed to the act of perceiving that vibration). In order for a falling tree not to make any sound, but only when no one is around, requires some pretty fancy physics. So while no one has ever heard a tree fall when they weren’t there to hear it, most people (physicists at least) assume that the noise still happens.Same idea with Many Worlds. You just keep using the physical laws we know about, and you end up with the MWI. Other interpretations of quantum mechanics tend to need a lot of very weird physical laws that violate other, well-established laws.The laws you need to get around MWI aren’t a lot more complicated, or less weird, than (taking form this example) the moment that no one is within earshot, air suddenly loses the ability to vibrate . Dear Hikaru, please tell me: What is “MWI”? Sorry, I’m missing something. Prove us wrong then! Or at least offer evidence as to why any alternative is more believable.